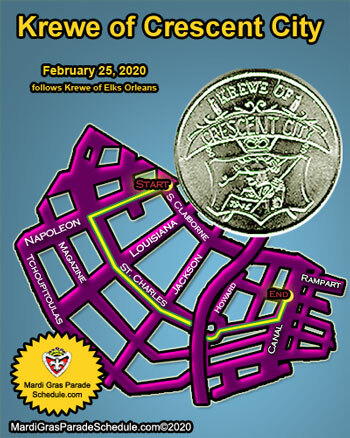 The Krewe of Crescent City was founded in 1947 and is the second oldest of the truck parades. There are typically 60 to 75 trucks with approximately 2,500 to 3,500 riders. The Krewe does not set an overall theme but instead, each truck bears its own title and theme. The Krewe of Crescent City follows The Krewe of Elks-Orleans and is the last parade in Orleans Parish. 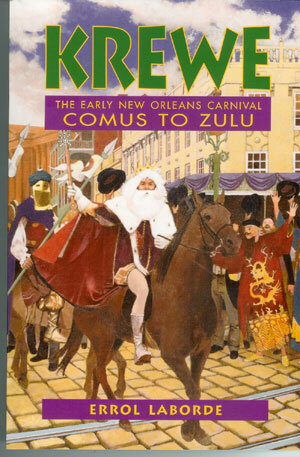 The Krewe signals the official "beginning of the end" of the Carnival season.